The new Chromecast is here! Well, sort of new. I mean, it is new, but it doesn't really do anything new apart from one oft-requested feature: 5GHz Wi-Fi (also, Wi-Fi ac support, if that matters to you [read: it probably doesn't]). Google has not only added higher-frequency wireless support to the new Chromecast, it's also doubled down on it with a new Wi-Fi antenna array that should increase signal strength and, potentially, speed for streaming. Also, the Chromecast is now a magnetic hockey puck thing. Other than that, there are actually no significant reasons from a consumer standpoint to buy the new Chromecast if you already have the old one. It might be marginally faster, but even the new Fast Play feature will be coming to the old Chromecast (we confirmed this with Google), so the speed difference may be negligible for most anyway. As to thoughts of future-proofing your casting experience? Just buy one if something specific to the new one is released. At $35, this thing is a total impulse purchase waiting to happen, but current Chromecast owners without wireless connection issues really don't have a reason to upgrade (not that I'm saying they should, it's just a reasonable interpretation of the facts). The new Chromecast supports the same resolutions (maximum 1080p), the same apps, costs just as much, and uses the same control interface as the old dongle. So, why is there a new Chromecast at all? Most likely because parts for the old one were being discontinued and the Wi-Fi array was due for a bit of modernization anyway to keep up with new network technologies. It was also an opportunity to make it look fun. Which it does. 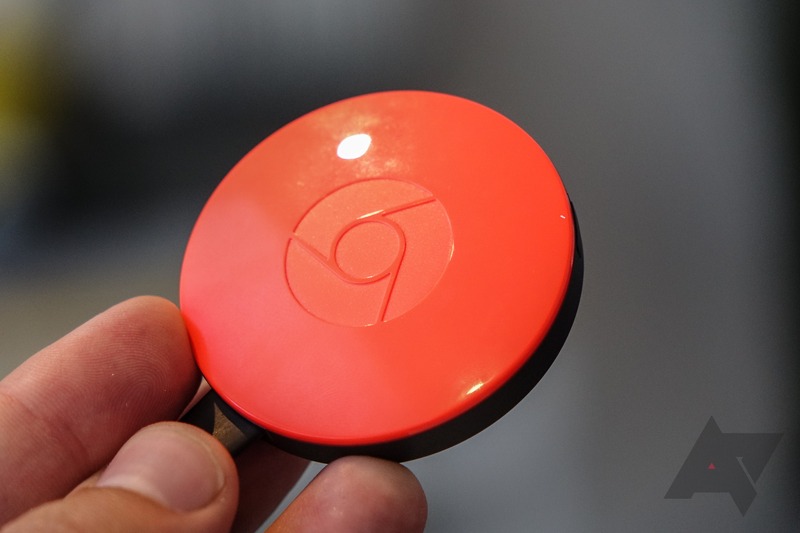 So, in short: if you have the old Chromecast, should you buy the new one? If you have issues with your Wi-Fi being too slow or unreliable, sure, why not? It could fix that for you. If your old one works perfectly fine? You can probably rest easy: you aren't missing anything groundbreaking, at least not yet.